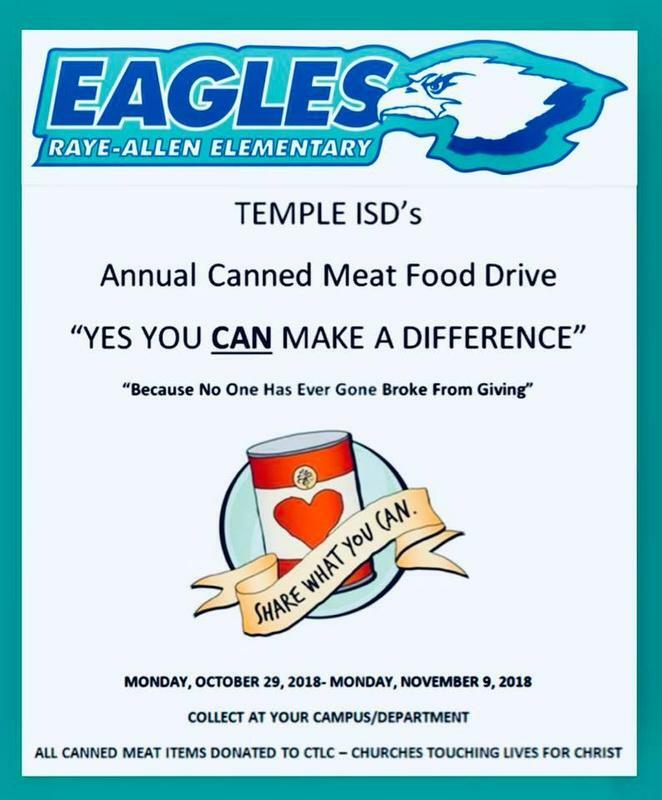 Congratulations to the Raye-Allen Campus for winning the TISD food drive. Our campus collected 6,289 cans. We are so proud of our students, families and our staff!! Way to go Eagles!!! Watch the video link below.